For courses in international business. International business through theory and practice Balancing authoritative theory and meaningful practice, International Business engages students on the subject of conducting business in international markets. The authors' descriptions and ideas of international business are enhanced with contemporary examples, scenarios, and cases that help students effectively apply what they've learned. 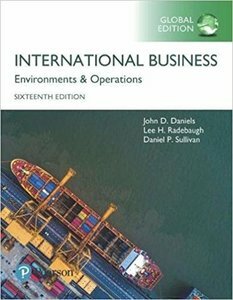 Now in its 16th Edition, International Business remains one of the best-selling and most authoritative international business texts available.